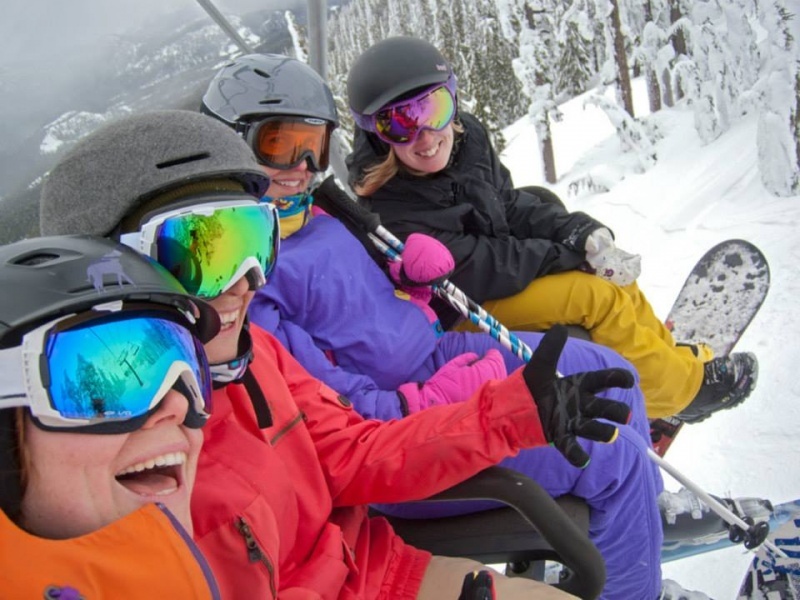 Big Sky, MT – Women are kicking off Big Sky Resort’s ski season with a two-day Women’s Early Bird Clinic December 6-7, and the second annual SheJumps “Get the Girls Out” event on Monday, December 22. The Women’s Early Bird Clinic is taught by women for women, focusing on an individual’s performance and mastering new techniques. Lead by Brenna Kelleher, PSIA instructor and former NCAA ski racer for Montana State University, this specific clinic is a building block to advancing one’s skiing from the start of the season, allowing women to gain confidence on snow. The program is geared toward woman already skiing at least blue runs. The “Get the Girls Out” program helps connect girls and women as they support, challenge, mentor and inspire each other through outdoor activities. In 2006 professional skier, Lynsey Dyer co-founded SheJumps, a 501(c)3 non-profit organization dedicated to increasing women’s participation in the outdoors. Women of all ages and ability levels are encouraged to join the one day SheJumps event. SheJumps Regional Coordinator and Bozeman native, Cristy Watson will lead the charge at 10 a.m. for a day of women’s camaraderie skiing and snowboarding with an après ski party at Whiskey Jack’s starting at 3:30 p.m. Registration is from 8:30 a.m. to 10 a.m. next to the Lone Peak Café in the Mountain Mall. “It’s going to be an amazing experience to spend a day on Lone Peak with all the amazing women that call Big Sky their home or ski destination,” said Watson. 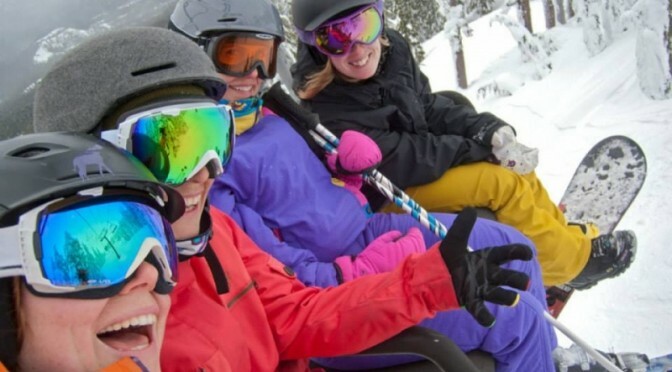 Women continue challenging themselves with a three-day Women’s Clinic January 8-10, 2015 focusing on off-piste and expert terrain. Ladies who attend the “Get the Girls Out” event receive a 15% discount on the January Women‟s Clinic. For more registration and cost information for these events, visit www.bigskyresort.com/events.